A stylish classic on the dinner party scene in the 1970s – and it’s back on the menus of some of the world’s most fashionable restaurants. To modernise this dish, substitute the fresh cream with crème fraîche and use the cayenne pepper with smoked paprika. 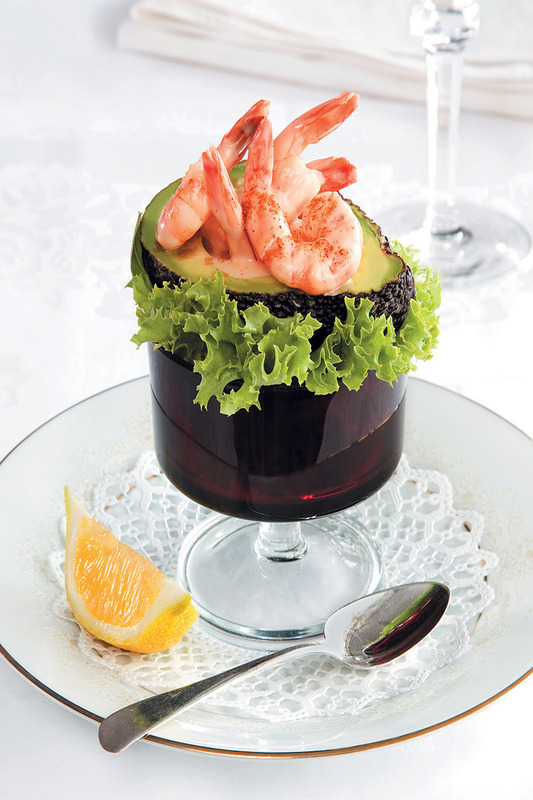 To make the seafood sauce, combine the mayonnaise, tomato sauce, cream, brandy and lemon juice, and season to taste. Brush the avocado with lemon juice and season with salt and cayenne pepper. Place the lettuce on a serving dish and top with one half of the avocado. Place the avocados on a bed of lettuce leaves. Fill with shrimps and spoon the seafood sauce over. Garnish with a few prawns and parsley, and serve immediately. To drink: Go for ritzy and glitzy Tanzanite Cap Classic.